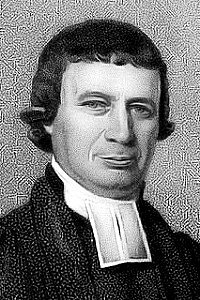 Mat­thew Wilks, in A New Selection of Seven Hundred Evan­gel­i­cal Hymns, edited by John Do­bell (Mor­ris­town, New Jer­sey: Peter A. John­son, 1810). Xavier Fran­cis H. Champ­neys, in Hymns Ancient and Modern, 1875 (🔊 pdf nwc). Quench the flames of Sinai’s law. Sinners, come, whoe’er you be. And refresh your weary souls. Lo! the Spirit now invites! Lo! the happy Bride unites! Lo! for you the well was made! Those who drink it cannot die. Not a drop to cool your heart. For ten thousand thousands more. ’Till we drink above the skies.